Limited Liability Partnership (LLP) is an incorporated business entity that combines the features of Partnership and Company form of businesses and has all the features of a Limited Company. LLP form of organization was introduced in India in the year 2008 and is governed by Limited Liability Partnership Act, 2008 and Rules. 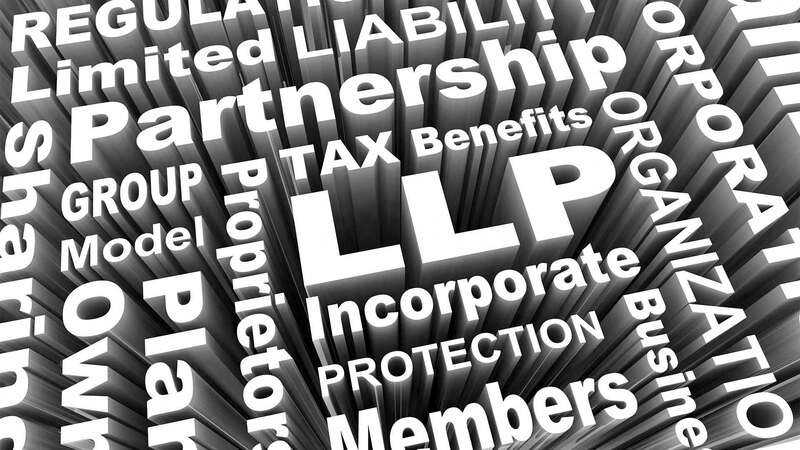 An LLP combines the advantages of both ‘LLP’ and ‘Partnership’ in a single business entity. An LLP should have a minimum of two ‘Designated’ partners who are individuals and at least one of them should be resident in India. Only individuals can be designated as partners in an LLP. Where a corporate body is one of the LLP partners, it should nominate an individual as a Designated Partner. Designated partner of an LLP shall be responsible for all acts and things that are required to be carried out by the LLP in respect of compliance of the provisions and filing of documents/returns/statements under the LLP Act as well as things specified in the LLP agreement. In an LLP, one partner is not responsible or liable for another partner's misconduct or negligence. All partners have Limited Liability for each individual's protection within the partnership, similar to that of the shareholders of a limited company. However, unlike the company shareholders, the partners have the right to manage the business directly. An LLP also limits the personal liability of a partner for the errors, omissions, incompetence, or negligence of the LLP's employees or other agents. The management of LLP is defined by the LLP agreement and partners have the freedom to regulate affairs of the LLP. LLP registration is administered by the Ministry of Corporate Affairs (MCA), Government of India, through the office of the Registrar of Companies (ROC). The incorporation/registration process is fully electronic, similar to the LLP registration process, i.e. applications and documents are filed online and the ROC issues a digitally signed Certificate of Incorporation (COI). Foreign Direct Investment (FDI) is permitted in LLPs operating in sectors/activities where 100% FDI is allowed through the automatic route. FDI in LLPs will not be allowed in sectors such as agricultural/plantation activity, print media or real estate business. LLP is the right business structure for doing business as it gives freedom of management and flexibility of ownership. The main benefits of LLP are as given below. In the eyes of tax laws, LLP is a ‘Firm’ and hence firm taxation is applicable to LLP. Various taxes levied on a company, like minimum alternative tax, dividend distribution tax and surcharges are not applicable to an LLP. The profit after tax from an LLP’s operation will be reflected in the personal income of partners. It is estimated that the approximate tax savings of an LLP will be about 17% compared to that of a company. In companies, the management is vested with its Board of Directors. They are responsible for taking the day-to-day decisions and management of a company. Shareholders have limited powers in the affairs of a company. In an LLP, management is vested with the partners unless specifically maintained in the LLP agreement. It is possible for an LLP to delegate all powers of management to a single person except compliance requirements under the LLP Act, which are the responsibilities of Designated Partners. All companies are required to appoint a Chartered Accountant as auditors for auditing accounts, irrespective of the size and operation of the company. In case of an LLP, the audit requirement starts only if the turnover exceeds Rs.40 Lakhs or contribution exceeds Rs.25 Lakhs. Statutory filing fees payable by an LLP is lesser compared to a company. Hence, even small businesses can think of incorporating their firm as running costs are very low. It is possible for a partner in an LLP to resign subject to the terms of LLP agreement. After resignation, usually the partner can take back his share of contribution from the LLP. LLP is free to take any business decisions subject to the LLP agreement. It can enter into a contract with its partner or relatives of partners and borrow and make loans to outsiders. However, in a company structure, many of these decisions need either the permission of the shareholders or approval of government authorities, for which the process is cumbersome. In a private company, the number of shareholders is limited to 50. There is no such restriction in an LLP. An LLP can have any number of partners and thus can secure more capital for its business operations.